Engine House Tap Room Patio Underway!! 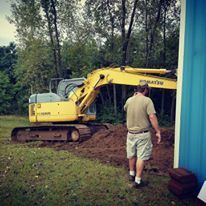 We are so excited to announce that our Engine House Tap Room Patio is underway! Thanks to Spahn Excavating for helping us to get it going!! We hope to have it all ready by October 2016 if not sooner! ← PHBC AMBER ALT SILVER AWARD WINNER 2016!